JON RENAU has released five stunning new wigs, including a first-time style using French Knotting – a superior knotting technique. The collection features a superb Remy human hair wig, three synthetic SmartLace monos and a heat-stylable synthetic creation. They are bold, cutting-edge styles offering a selection of long and short wigs. Click on the names below to visit the page. CARA is a shoulder length, Remy human hair bob, hand-tied by French knotting, which simulates natural growth. 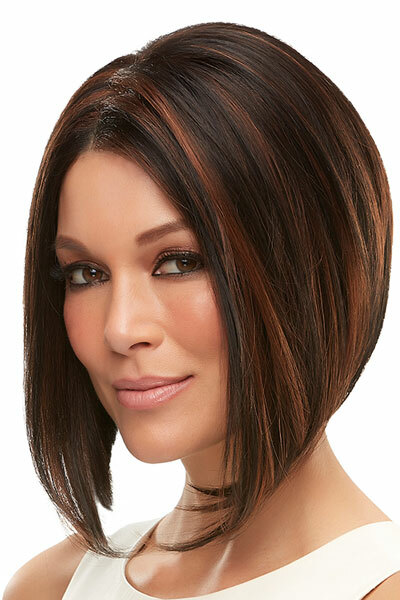 EVE is an asymmetrical stacked heat-stylable bob with a discreet lace front and an invisible monofilament cap. 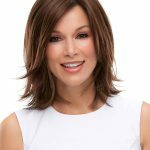 EMILIA is a pert long bob with a SmartLace front and monofilament top that provides the look of natural hair growth with easy wearability. SARAH has gorgeous wavy curls, hand-tied monofilament cap and SmartLace front, that offer endless styling options. 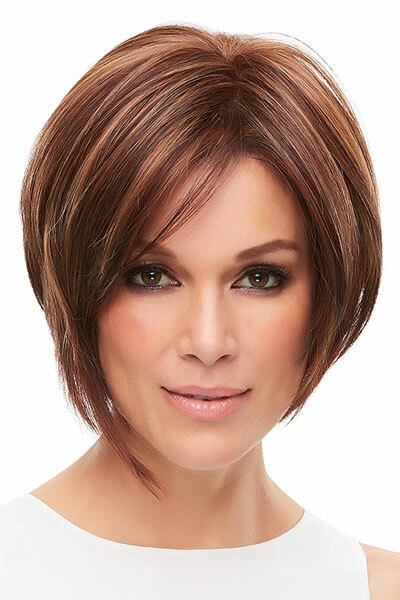 MENA is an angled bob with SmartLace hairline and invisible monofilament cap, that allow for easy styling in any direction. NEW COLOURS FOR HUMAN HAIR WIGS: The chocolate collection. 2017 sees the introduction of a stunning new range of colours from JON RENAU for its human hair range – to further enhance its reputation as the ‘Colour King of Wigs’. Four lustrous brunette colours – aptly named the ‘chocolate collection – have been given the delectable names of Toffee Truffle, Salted Caramel, Midnight Cocoa and Chocolate Cherry. And just as chocolate offers a range of delectable tastes, the colours in the new range are a delicious palette of blends and highlights, ranging from black/brown violet and touches of natural red blonde, to shades of gold blonde. The chocolate collection is available in a selection of existing human hair and synthetic wigs as well as toppers. The most exciting offerings, are five popular SmartLace human hair creations (just click on the name to visit the page) – Angie, Carrie, Blake, Sienna and Jennifer. For more information, call us at The Individual Wig 9332 2112. Of course, you can come come into the Salon to see the beautiful colours for yourself. The best price is available in store. A changing season brings new styles and Jon Renau has introduced five new creations to mark Spring 2016. The legendary wig maker says the new looks are inspired by the everyday woman; melding effortless natural grace with sophisticated trends. We have Ciara -a headful of long, loose waves,Miranda – a smart cascade of long layers, Kaley- a short, whispy shag, Sandra- a sleek, long layered style and Top Wave- a clip in hairpiece of volumising, carefree waves. Ciara, Miranda and Kaley are SmartLace, constructed with lace front hairlines, which create the illusion of natural hair growth. The lightweight open cap construction of Kaley creates breezy wearability and cooling comfort. 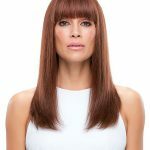 Ciara, Miranda, Sandra and Top Wave all feature transparent monofilament, to which the individual strands are attached, providing virtually unlimited options for new looks through multidirectional stylability. In addition, Sandra has a 100-percent hand tied cap and a true-to-life natural feel and appearance, since the process of hand tying crafts an extraordinarily comfortable wig that moves like naturally growing hair. This Spring Collection showcases the attention to detail and the high standards of the Individual Wig. We embrace the idea that beauty starts with happiness and empowerment and with these new styles, Jon Renau has achieved all that. …………………………………… October 12 2016 ……………………………………………………. A few weeks ago, I was a among a group of very enthusiastic women who spent the day beating a box with a drum stick! We were making a short video in support of a wonderful campaign to raise awareness and seek funds for research into cancers that few people think about. They are gyneacological cancers – the cancers that effect women’s reproductive system. The campaign is a little provocative and is called ‘ Save the Box’. Fifteen women are diagnosed every day with cancers such as ovarian, uterine (often called endometrial), vulvar, vaginal and cervical cancers. Four women die every day. This campaign by ANZGOG, The Australia New Zealand Gynaecological Oncology Group, is aimed at highlighting the urgent need for more research to save lives and improve the outcomes for women with these cancers. GREAT NEWS. We’ve restocked our exclusive Individual Wig range of Bamboo Turbans for winter. And we have all the colours you love- pink, fuchsia and mineral green, just to name a few. We also have a NEW style -BAMBOO TURBAN:4 PANEL. It ‘s made using rouchel stitching and pleating to create a very pretty and feminine Four Panel look. It gives an interesting dimension to simple but elegant head wear. Currently, TURBAN-4PANEL is only available in Peach. 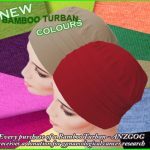 With each purchase of the Bamboo Turbans, a donation goes to ANZGOG, a charity devoted to raising funds for clinical trials into gynaecological cancer research. 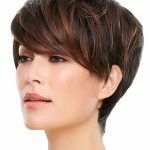 Jon Renau has added to it’s already amazing collection with the release of new Autumn styles that incorporate the latest in wig technology with design and comfort. There’s something for all tastes. A gorgeous human hair long wig, called LEA is the standout number. It’s stylish and elegant and comes in LEA Elite which offers the extra choice of the exclusive Renau Natural Colour range. The LEA shown here has been restyled with a a blunt fringe which of course has been done by a wig stylist. If your budget doesn’t include human hair, RACHEL is a perfect alternative. It’s also a long wig with soft wavy layers. 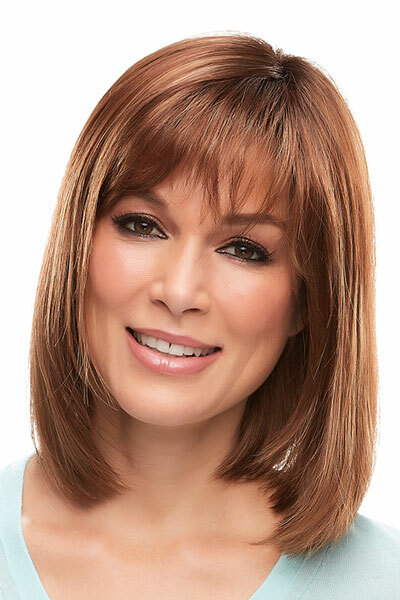 It has a SmartLace front hairline and hand-tied monofilament cap to create a superbly natural look and feel. 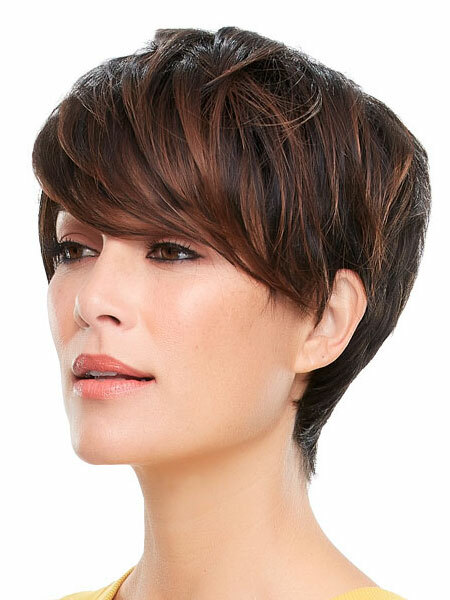 The other new look is DIANE, a short shag style with easygoing layers and soft textures. It’s a lightweight, that combines the natural appearance of lace front technology and monofilament top. To see the new range, visit > the Jon Renau Collection and scroll through. A wonderful organisation that provides help for people with hair loss is AAAF (the Australia Alopecia Areata Foundation). Established to support research into a cure and improved treatment for Alopecia Areata, AAAF is dedicated to giving each person the best chance of managing their Alopecia Areata positively. I have just had two clients with Alopecia receive financial assistance from AAAF to buy wigs. While the Foundation helps the whole family by running kids programs on a yearly basis, it has developed a special program for people over the age of 55 who need financial assistance to buy a wig. It operates until February the 28. Newly arrived Bamboo Turbans with a stunning line-up of new colours. They include a delicate Coral, a soft Grey and a vibrant Fuschia. Bamboo Turbans are ideal for people with hair loss, either through alopecia or cancer treatment. Bamboo is a natural product that’s cool in the summer and warm in the winter. On top of that, its beautifully soft and comfortable to wear. With every Bamboo Turban purchased, The Individual Wig will donate $2.00 to ANZGOG, the Australia and New Zealand Gynaecological Oncologists Group, which is dedicated to raising fund for research into gynaecological cancers. ANZGOG is the only organisation actively involved in running clinical trials to fight better manage and cure the range of cancers from ovarian to cervical cancer. The start of Spring 2015 sees the introduction of new styles, new colours and new looks in wigs. Jon Renau has introduced five captivating new styles that offer a full range of fresh looks: ALESSANDRA– a bombshell of long layers, MARISKA– a breezy pixie with long front layers, CAMERON– a layered bob that refreshes a timeless style, EVAN– a chic and sassy updated pixie and ROSIE-a bob with a layered, sideswept fringe. They are all Smartlace, offering true-to-life lace front hairlines, which create the illusion of natural hair growth. VISIT the collection online to find the construction that suits you; transparent monotops, hand-tied caps and cool wearability. 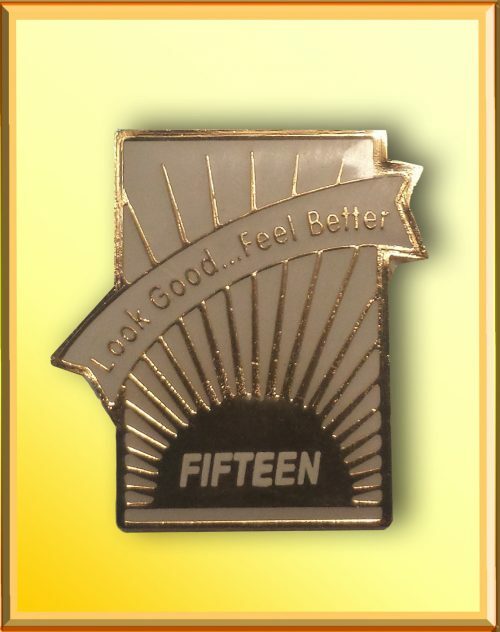 15 Years with LOOK GOOD FEEL BETTER. Many of my clients and women with cancer know of the outstanding work done by Look Good Feel Better, a charity dedicated to helping patients manage the appearance-related side-effects of cancer treatment. I recently attended a Fundraising Gala to celebrate 25 years that the organisation has been carrying out its work in Australia. In that time, more than 118,000 people have taken part in the workshops. The soul of the program are the hundreds of volunteers from the cosmetic, beauty and hairdressing professions who help conduct the workshops but the heart of the program are those women undergoing cancer treatment. For 15 of those 25 years, I have been fortunate to see the results of the workshops and I was honoured to receive a 15 Year Medallion at the Gala, which I wear with pride. During those years I have worked with many wonderful volunteers and staff from Look Good Feel Better. When participants tell us how much they are encouraged by our efforts, I know the workshops are achieving our mission – to help improve the well-being and confidence of people going through cancer treatment. The Individual Wig has brought Lindi Skin Products to Australia. With so many clients needing a wig following cancer treatment, The Individual Wig has been looking for the ideal skin care products to help ease some of the side effects that chemo or radiation treatment have on the skin. We have selected Lindi Skin products because they come with all boxes ticked. They have been tested in a US Food and Drug Administration facility and clinically proven. They are natural, gentle, non-irritating and allergy tested. They come in a range of soothing creams and lotions designed for the face, neck, hands and feet and importantly, for people wearing wigs-the scalp. The range available through The Individual Wig is a FIGHT BACK kit that makes an excellent gift for that special person who has cancer and is made up of the most popular items in the Lindi Skin range. 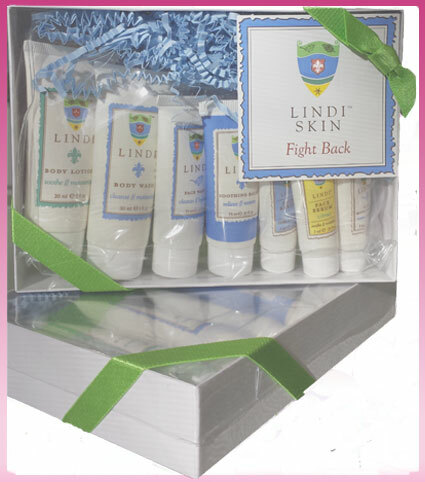 For more information on the FIGHT BACK kit, visit Lindi Skin on online. If you’re looking for something to deal with the problem of thinning hair or hair loss, there’s encouraging news with the arrival of new ‘toppers’. These add volume and density to your hair. 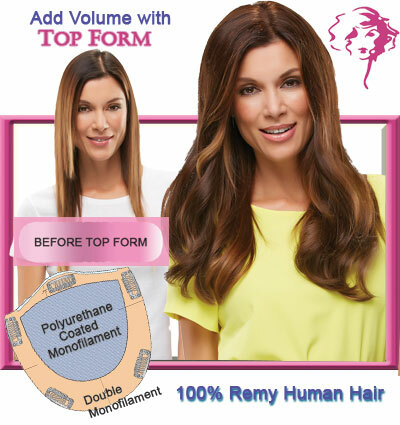 The latest we have are gorgeous Top Notch, a synthetic clip-in and Top Form, a 100% Remy human hair clip-in with double monofilament bases. They have folded Swiss lace at the front and are attached with pressure sensitive clips. The clips can be removed if you prefer to use adhesive. Designed to add gorgeous volume at the crown, these hair toppers integrates with your own hair for a supremely natural look. READ ON FOR OTHER NEWS……………. The Individual Wig featured on Channel Nine’s Weekend Today Show on Sunday 6th April. 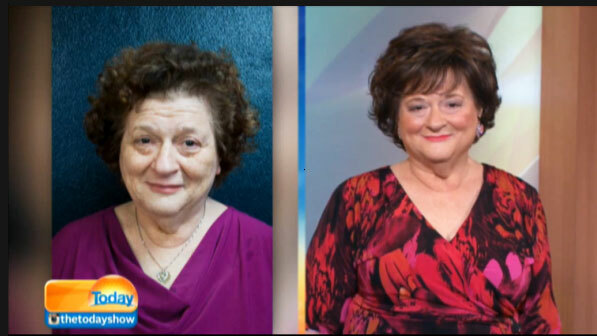 In a segment presented by fashion consultant, Henry Roth about quick and affordable ways to look younger, we put a wig on one of the women Henry brought to the studios. 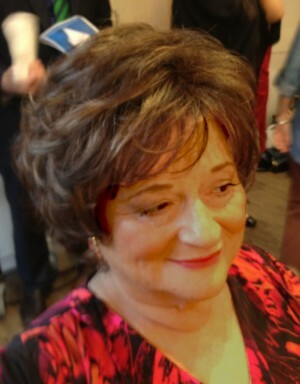 Henry told host Leila McKinnon that he’d worked with The Individual Wig on Oxford Street to update and transform the look of his model, Joyce. 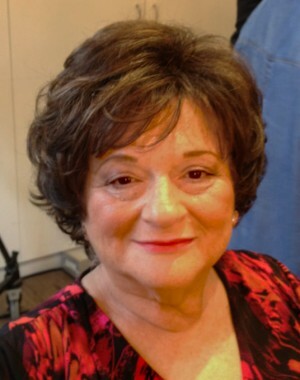 Henry showed a ‘before’ picture of Joyce and then presented her in an Anthea Crawford dress with the make-up by his experts from the Roth Beauty Bar and wearing a beautiful new wig from The Individual Wig. Henry also worked his magic with two other women saying that with great clothes, the right colour, beautifully applied make-up and ‘not being scared of wigs’, women can achieve amazing things in a short space of time. To see the segment visit Channel Nine’s Weekend Today. Click on the segment titled ’10 years younger in 10 minutes’. Just in…a NEW range of beautiful wool felt hats, ideal for the coming colder months but with enough of a brim to shade the face. They have a wide matching band and come in a selection of colours from brilliant red and bright blue to the softer shades of camel and rose. 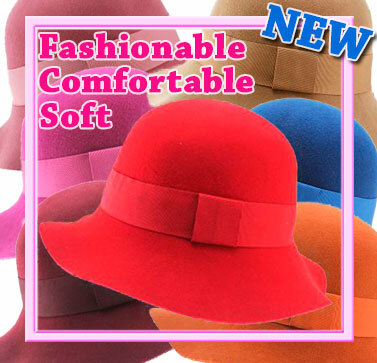 They are soft, comfortable and fashionable – all the things that you want in headwear. Call us on 9332 2112 for more information. You can also look at our other head covers online. The eagerly awaited 2014 Catalogue from HENRY MARGU has finally arrived. 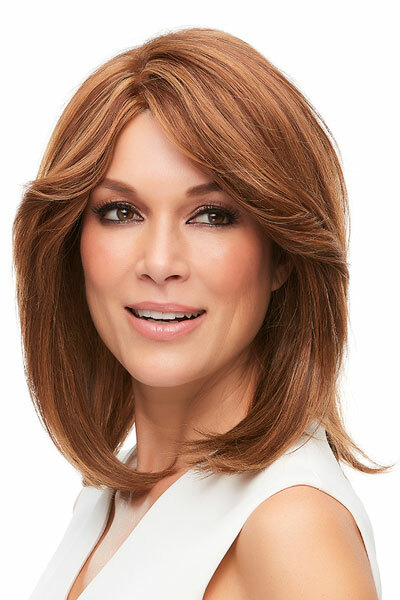 The collection features exciting new trend-setting styles and colours but retains many of the popular wigs that have been so sought after by The Individual Wig clients. With more than 60 years of innovative ideas, Henry Margu has also produced the highest quality using its own specialised fibre processing and blending techniques. It continues to develop and create lighter-weight more comfortable wigs with the sole purpose of meeting the needs of people who wear them. For more information visit our Henry Margu Collection or call on 9332 2112. The Individual Wig – specialists in wigs for hair loss, wigs for fashion, wigs for fun or fantasy, as well as headwear. We have just received the latest in our range of bamboo turbans, with eight gorgeous colours from which to choose. From client feedback, bamboo is certainly a hit. The fabric is so soft and comfortable. Because it retains bamboo’s natural anti-bacterial qualities, the turban is ideal for people with a medical condition.